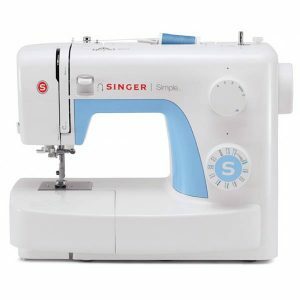 The Singer Simple 3221 gives you all of the foundational features you need for a strong start. In Addition to this, it is fully equipped to meet your needs for years to come as you continue to advance. Overlocking with the Singer Overlocker 14SH754 is much more than just finishing the edges! 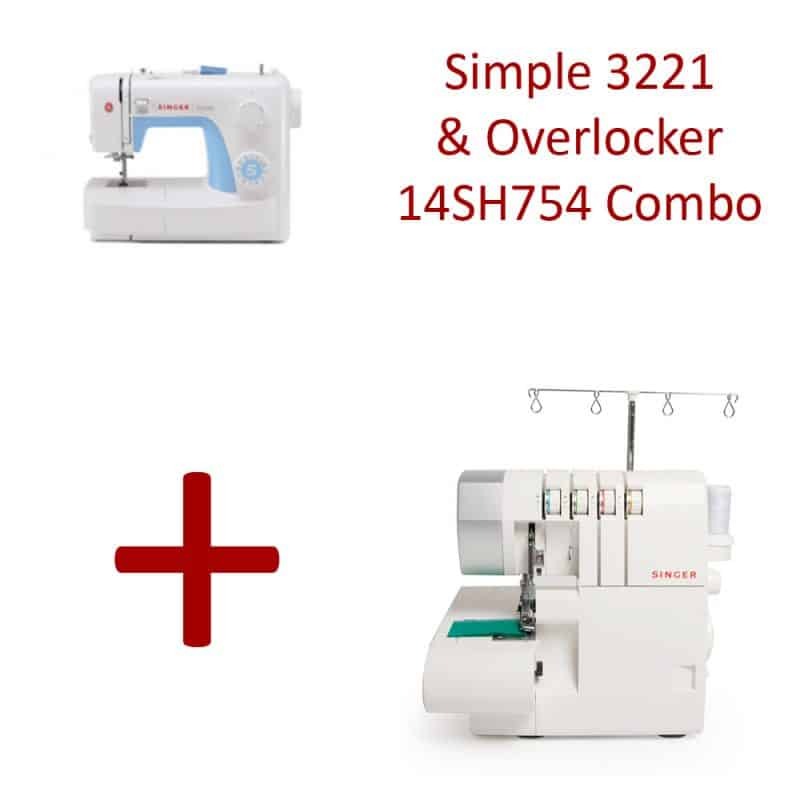 There are good reasons to use a modern overlocker in your sewing room. Above all, it gives all your creations an equally beautiful finish, outside and inside. 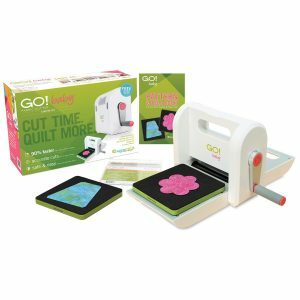 An overlocker lets you handle all fabric types with ease and precision, even highly stretchable or slippery materials. This stitch is a favourite when sewing knit fabrics because the stitch stretches as the fabric stretches. 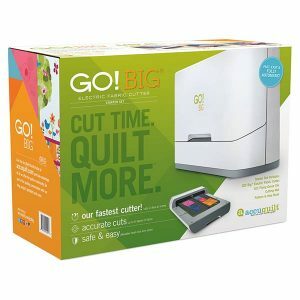 This allows for neat and professional finishes that will not “pop” when the fabric is stretched. This Three-Thread overlock stitch provides a wonderful professional seam finish to woven fabrics. It is beneficial in preventing loosely woven fabrics from unraveling, and it offers decorative capabilities. An ideal finish for medium to lightweight fabrics. When using the Three-Thread Wrapped Edge stitch, the edges of the seams are wrapped to prevent unraveling without unnecessary bulkiness. 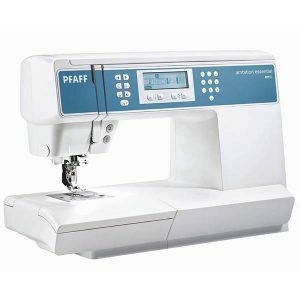 By simply moving the stitch finger dial, the overlock is converted to the rolled hem sewing mode. Beautiful Three-Thread rolled hems can be created to add an attractive finish to table linens, scarves and much more. For true decorative flair on any project use the Flatlock stitch. Special decorative threads can be used to add texture and a dramatic embellishment effect. An elegant fine finish can be added to lightweight fabrics or knits. This delicate finish gives a couture effect and looks beautiful on finer fabrics. 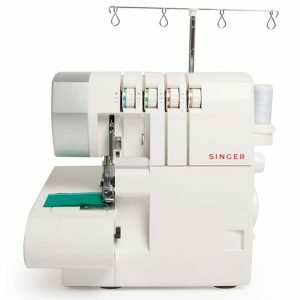 By simply moving the stitch finger dial, the overlock is converted to the rolled hem sewing mode.